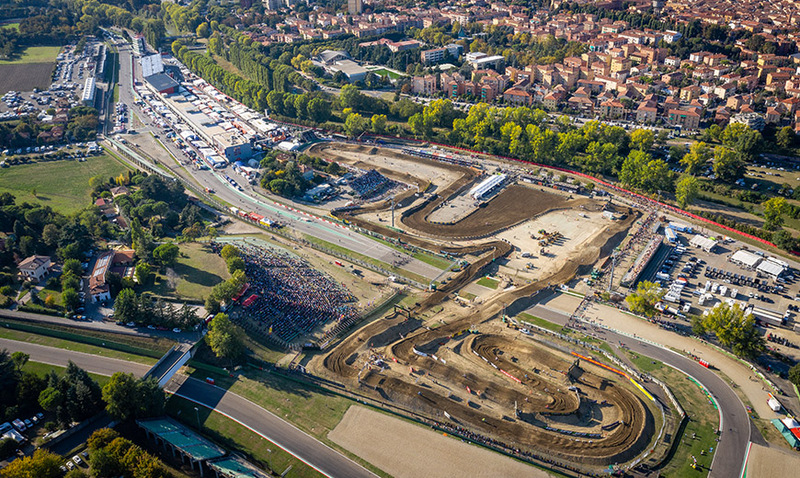 The big cross returns with the dispute of the GP of the MXGP World Championship. On a spectacular track, built between Paddock 2 and Collina della Rivazza, the big names in the championship will battle to win the victory. Spotlight on the very champion Tony Cairoli, who this year is on the hunt for the tenth world title, and on his most credited rivals, the reigning world champion Jeffrey Herlings, Tim Gajser and Romain Fabvre. Do not miss the great challenge to women, with the six-time world champion Kiara Fontanesi who will do everything to get on the top step of the podium in the home race. The program is completed by the European 250 2T. This entry was posted in EVENTS, MOTORSPORTS EVENTS. Bookmark the permalink.